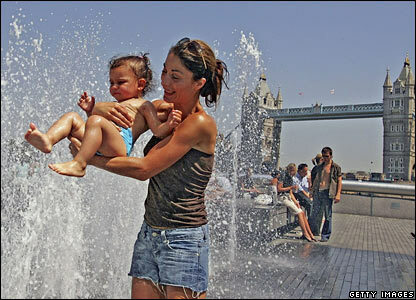 The record for the hottest July day in the UK since records began has been set, after temperatures hit 36.3C - and they are expected to climb further. 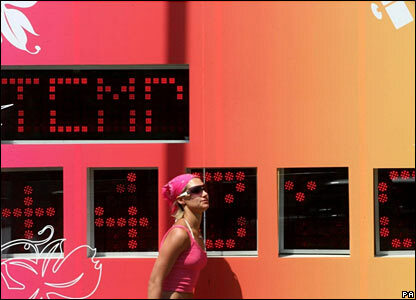 With the capital among the hottest parts of the UK, Londoners made use of its amenities to combat the heat. 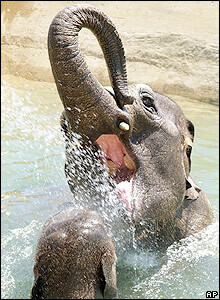 Elephants in Whipsnade Zoo also took to the water in an effort to cool down, while keepers across the country fed other animals ice lollies. 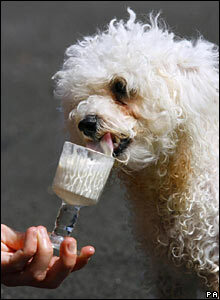 In Bournemouth, Dorset, Lola the dog cooled down with a vanilla ice-cream as temperatures continued to soar. At Ballycastle in Co Antrim, children took the fastest route into the water as other coast-goers stuck to the beach. 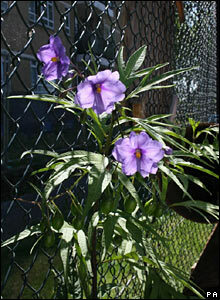 The heat saw a rare visitor to the UK when solanum aviculare - known as the Kangaroo Apple plant - appeared in the Churchill Gardens housing estate in central London. The oven-hot temperatures were so sweltering chef Vered Zaada was able to fry an egg on her car bonnet. 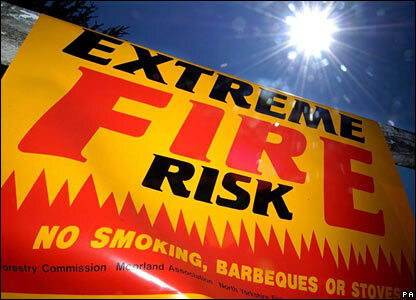 And in the Yorkshire National Park, wardens were warning of an extreme fire risk with signs posted throughout moorland areas.